Unless you live on the moon, you can’t have missed the new Gillette ad and the brand’s accompanying campaign to rethink their “best a man can get” slogan. Picking up on the #MeToo movement, Gillette wants men to think on how they represent themselves in the world, and what it actually takes to be a “good man”. The ad invoked a swift reaction, with many praising it and the message it was trying to achieve. However, there was also hugely negative commentary, with other men heaping vitriol on Gillette, saying they’d never buy their products again. 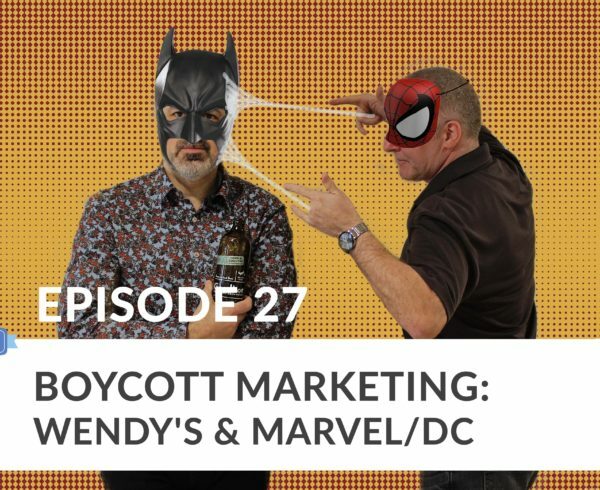 In this week’s episode of Marketing on Tap, we look at brands that take a stand when it comes to societal issues, if there can be any middle ground, and what it means for businesses (and their customers) when a definitive stance is taken. Intro: Join marketers, authors, and craft beer enthusiasts, Sam Fiorella and Danny Brown, for a hoppy discussion on all things digital over a cheekey pint or two. Topics on the menu include influence marketing, social media, brand advocacy, and a taste testing of real world, digital marketing campaigns. Some are smooth, others don’t sit so well. Don’t forget to stick around for last call, where the boys will serve you up one final marketing take away that you can go out and apply in the real world. It’s a great primer before the weekend. Danny Brown: And we have to do it over. Sam Fiorella: I’m Sam Fiorella. Danny Brown: I’m just happy. Sam Fiorella: You are a happy person. That’s kind of annoy to be quite honest with you. Today, we’re waiving our … Or, what’s the word? Wading into a little bit of a controversial subject. Or a controversial ad, which I really don’t understand why it’s controversial quite frankly. It’s the Gillette Be the Best You Can Be at. Danny Brown: Yeah. Best a Man Can Get. Sam Fiorella: The Best a Man Can Get, which is now the Best a Man Can Be. So, it may or may not be 8:00 in the morning here, folks, and we, I don’t know, may or may not be drinking beer. That sound that you hear is coffee. It’s not actually beer. Sam Fiorella: But I wanted to talk about this today and there is some controversy here, even internally. Because I know Robert didn’t want us talking about it. He didn’t want us talking about it because he thought that this is wading into politics, which quite frankly I don’t understand. 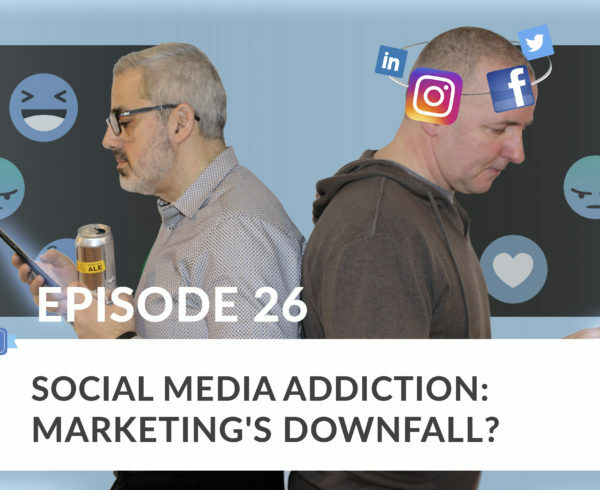 Sam Fiorella: But I thought that from a marketing perspective this is something that we’ve talked about a few times over the course, or life of this podcast, and we talk about all the time. That is when should a brand get involved in a movement, or a political statement, or a social cause. Sam Fiorella: When should it put its flag, you know what I mean, in the sand and say, “I’m drawing the line. This is my stand.” So that’s what we want to talk about today. 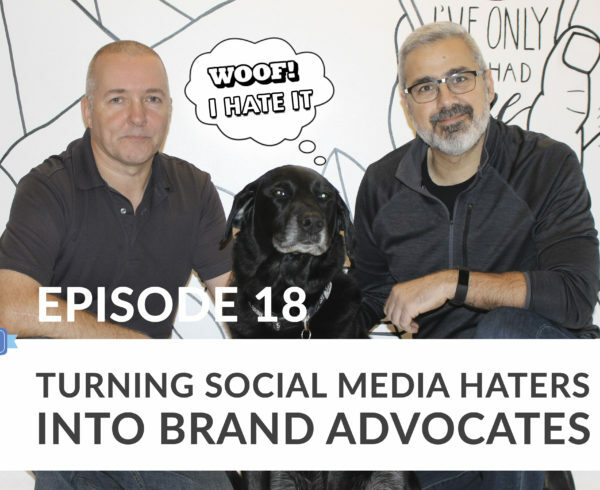 Should a brand take a stand, and when should it take a stand? Is the even important today. We’ll use Gillette and others as an example. Sam Fiorella: All right. But what are we drinking? Danny Brown: So, this morning we’re revisiting our friends up at Cowbell. Danny Brown: Yeah, up in Blythe, Ontario. Hear the bell. Danny Brown: This is McNall’s Mission, which is a honey brown ale. Danny Brown: So, it mixes a variety of sweet and savory brown malts with local raw honey to create a really proper honey brown ale. You should be tasting some dark caramel, fresh biscuits and baked cookies. Danny Brown: Fresh biscuits. So it’s kind of like the s’mores. Sam Fiorella: So this is breakfast? Danny Brown: It’s breakfast, so it’s all good. It’s almost 4.8% ABV, and a 20 IBU. So, should be pretty good. Sam Fiorella: Did you pour some for Robert? Danny Brown: I did pour some for Robert. Danny Brown: Oh, Robert, you’re good. Robert: I want nothing to do with this podcast. [crosstalk 00:02:56]. Sam Fiorella: No, well, you’re drinking beer. Cheers guys. Sam Fiorella: For a honey brown that’s okay. I can really, there’s a bit of a play on the traditional honey brown with that sweetness. Sam Fiorella: That I don’t think you typically get. But it’s pretty good. Danny Brown: It’s good. Reminds me of an amber a little bit. Danny Brown: Yeah, a nicer beer. Sam Fiorella: Mind you, nothing is better than a Guinness for a breakfast beer. But that’s a whole other issue. Sam Fiorella: All right. Back to this. So, for those of you that haven’t seen the ad, I can’t imagine anybody hasn’t seen the ad at this point. Because quite frankly, I mean I was in New York this week and it’s all anybody was talking about. On the subways, in the elevators. Even in my client meetings they asked me about this. So this is something that everybody’s talking about, which is one of the reasons why I really wanted to address it here today. Because our clients are asking us about it. Is it a good idea? Is it a bad idea? 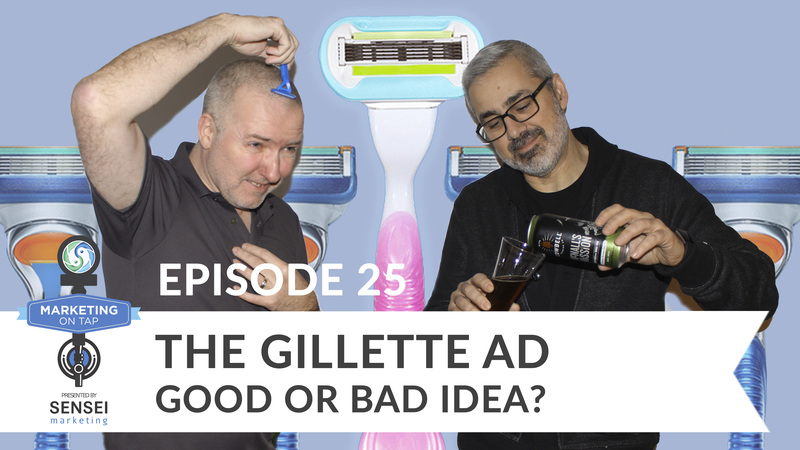 For better or for worse Gillette is creating a lot of news for itself and for its brand. Which, I guess time will tell if it’s going to be positive or not. But that’s what I want to talk about. Sam Fiorella: So, for those of you that haven’t seen it, that three people on the planet that haven’t seen this ad yet it’s actually going to be a Super Bowl commercial that they’ve released early. It’s a long form commercial which has been put out on the internet. It basically has a variety of vignettes of boys wrestling, play fighting in, I guess, a back yard with their dad’s standing in front of barbecues say, “Oh, boys will be boys. Let them rough house. That’s what boys do.” Another scene has an older gentleman putting his hand on the shoulder of a female co-worker in the middle of a meeting. Danny Brown: Seemed really condescendant. Sam Fiorella: Yeah, it was kind of condescending in a way. Then, it basically was portraying what typical male behavior is. At the end they say, they basically have somebody step in. One of the dads step into the boys and says, “Hey, that’s not okay. Rough housing isn’t okay. That’s not how you guys should be behaving. You should be supporting each other.” A guy steps in with the older guy who puts his hand on the woman’s shoulder and say, “Hey, dude, that’s not cool. You’re not supposed to do that.” Basically it’s men standing up, finally, and talking to each other and making it such that we are stepping up on behalf of the ladies so that they don’t have to fight back for themselves only. That we’re part of this conversation. They end with Gillette, the best a man can be. Sam Fiorella: So, the controversy on this one from what I can tell from a political standpoint, or not even … I don’t know why that keeps coming out of that. For me it’s not really politics. I’m struggling to see where the politics comes into play with this. For me it’s they took a stand on a social issue. The social issue is me too, the me too movement, which is less of a political movement for me than it is a cultural movement. It’s just a human rights decency thing than it has to do anything with politics. Despite the fact that some of the cases were political. Sam Fiorella: But it was also actors and business leaders. I mean, it was everywhere. Sam Fiorella: In the context of 30 years ago when this ad was created, just like beer advertising was different 30 years ago, cigarette advertising was different 30 years ago. In the context of that time that was the best a man can be. Today it’s not. Today the best a man can be is to strip themselves of that toxic, what they’re calling toxic machoism and support women, and be a little bit more sensitive to their plight and not just our own needs. So it’s a modern take on their tag line. So, people on the other side will argue from marketing perspective it’s smart because they’re updating that tag line that they’ve always been around. Sam Fiorella: So, anyway, is it smart for them to take a stand on this? Regardless of whether you think it’s a good ad quality, like I’m not even talking about the production value. But is it worth it for them, was it smart for them to take a stand in this way? What’s your thought on it? Danny Brown: I think it is. I mean, we’ve spoke about it before. How our clients have to adapt to the new customer base coming in, in say 10 or 20 years time. You see in marketing, magazine articles, advertising week et cetera. I think with it being a social issue I see it as a brand, much like Nike did with Colin Kapernick. And the other athletes they used in their ads. I see it as a brand recognizing that the behavior and the demographics of their audience because we know that Gillette’s new audience in 20 years time, if this works, is going to be the millennials coming from the now. Danny Brown: So I think it’s got a lot to do with the brand recognizing that times do change. You spoke about cigarette advertising. Do you see any cigarette adverts now? Danny Brown: So, that’s society changing. I think society as it changes business has to adapt with that. Sam Fiorella: If they want to sell. Danny Brown: Exactly. It’s not just the customers, it’s employees that work for the business as well. Sam Fiorella: Okay, I want to talk about that a little bit more. But before I do, what do you think of the criticism that this is just a play to sell products? Danny Brown: It may be. They’re in business to sell stuff. Like I say, if they’re recognizing that the current demographic isn’t buying razors, and maybe going to Dollar Shave Club, because they’ve made huge inroads in the last five years. Then I think it makes sense for them to change the customer base and plan ahead to keep growth. So, yes, I think there’s going to be some parts of it that suggest it’s a sales ploy. But I think there is some genuine belief there that something has to change. Sam Fiorella: All right. Which, sounded a lot like mansplaning to me. [crosstalk 00:10:06] complain to be men, so just shut up, smile, be pretty, sell your product, don’t have an opinion on anything. Sam Fiorella: Maybe that’s the role of the business. I’m not here to say it should be one way or the other. But, for me, though, if I say, “Yes, a business it is trying to sell.” I’m with you. That’s what they’re supposed to do. I don’t think any of us can complain about a business trying to sell product. We get paid by businesses. Sam Fiorella: Our economy runs by businesses. We can’t not have a business that sells. So, good for them. Let them sell. But if while they’re selling they have the opportunity to shine light and support a social cause, then why not? You know, so that really for me is the question. Should they be part of the global community, should they be part of their local communities and supporting that? Will anybody get upset with them if they went and sponsored a picnic for the Boy Scouts? Sam Fiorella: But the reason that I think it’s important for a business to take a stand, and again this is going to be a choice that every company has to make. There’s a calculation that has to go into the mix. If this was a client, this is what I would say to our client yesterday that I met with. Do you want to take this risk or not? Here’s the calculation. You do the calculation and then you make the determination if it’s worth it for you or not. Part of the calculation is who is your audience? You eluded to this, I think, perfectly and that is the audience for them is they’re going after millennial generation right now. Because of the Dollar Shave Club that’s taken away so much of their business. Dollar Shave Club understood, right, they’ve changed the playing field and are going after the millennial the right way based on how they want to buy. Sam Fiorella: So, I was just looking at this on the playing list. Enso Agency scored 150 brands that tried to identify the extent to which the purpose of the brand aligns with the customers own values. Sam Fiorella: I found it really interesting that brands like Starbucks were rated very high. Among the 150 they were up in like top 10 amongst millennials. Sam Fiorella: They said, “There are where we go and buy coffee. We love to support them.” Whereas Boomers rated them really low. They were down at the bottom of the 150. They don’t go there very often. But companies like Hewlett Packard, or Pfizer, or Chevrolet, or Triple A were rated very high by the Boomers, very low by the millennials because those brands don’t represent their values. Sam Fiorella: Or the zillenials. But basically the next wave. And it already is, they’re already the largest population of the work force. That wealth that they’re starting to accumulate 10 and 20 and 30 years from now, that’s who it is. Sam Fiorella: So, that’s part of the calculation. Is it going to play with this audience? Today this audience, the younger audience, wants a brand to take a stance. So that’s part of the calculations. So I agree with you there. Sam Fiorella: But, let me switch this a little bit. What’s the cost effect? Is it business savvy? Does it make financial sense? Because, you know, you saw people burning … Or, not burning razors that was the night thing. They were just dropping razors into [crosstalk 00:13:38]. Danny Brown: Which made me laugh, because like people pointed out, you know these don’t flush? You have to stick your hand in to pick the razor back up. Sam Fiorella: Well that was just, that was a protest so I’m not going to call that out necessarily. But, how about the Nike? What happened with Nike, they did the same thing, did it work for them? Danny Brown: Their stocks still up. Their shares are still up. They had a 6.1 billion increase, or … Whatever it was I can’t remember. But their shares are still up. Sam Fiorella: They had a one day drop. Sam Fiorella: They had a hit, really bad hit the first day and a lot of people were burning their running shoes. A lot of negative publicity. Which I think Nike knew was going to happen. They suspected that, but they also had a history of understanding that if you’re on the right side of a social movement it’ll play off. 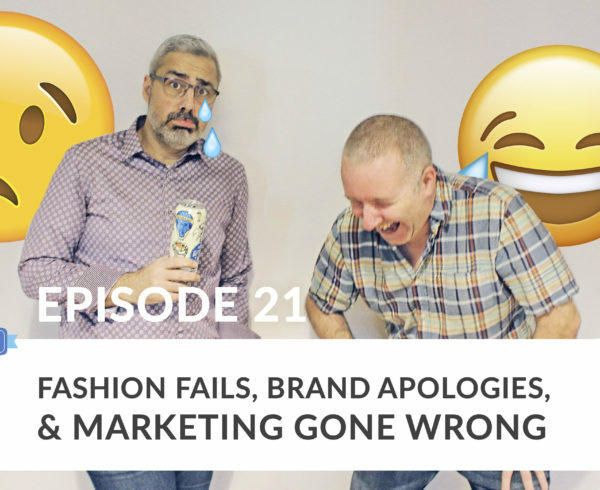 Sam Fiorella: So their brand continued to do really well after that. Danny Brown: Yeah. It’ll be interesting to see, I mean Gillette’s the biggest razor company in the world. They’re posting six billion in revenue each year. So they’re huge. Danny Brown: So, they posted on about social media and about audiences on social media and how they relate to brands. Two of them at the start said, picked up … The Edelman picked up anyway. Said 48% say it’s the brands own fault if its advertising appears next to hate speech and violent or sexually inappropriate content. Touching back to the Gillette stuff I guess. But 47% believe that points of view that appear near a brands advertising and marketing are an indication of the brands values. Danny Brown: So already half the audience is looking at the brands values and how their advertising, and who they’re advertising with. If you look at the stop fund and hate campaign in the UK they’ll look to take away from advertisers that are advertising with newspapers like The Daily Mail et cetera who are known for their rhetoric. Danny Brown: The vitriol, et cetera. So, I think there’s definitely a costing factor but it shows that if almost half of the current stats are showing that consumers will align, as you mentioned, with brands that take a social stand, or stand on the perceived right side of social cause it will show back on their own behaviors. Sam Fiorella: Yeah. See, this is the point that I think I want to delve into here. Is, for me, and this was the conversation Robert and I were having yesterday. No, this is don’t do this because this is a political issue. This is not a marketing issue. I think that couldn’t be further from the truth. I really don’t understand the political aspect of this. For me it’s should a brand take a stand on a social issue, yes or no? Sam Fiorella: Marketing is always about understanding your audience. What motivates your audience to buy, or to not buy something. Then do something that will sway that. If they’re not going to buy from you, do something that will sway that purchase decision or that pattern, behavior pattern. Sam Fiorella: So, if we know that the audience today is looking for this, they’re looking for brands that represent their value, or align with their value, then why shouldn’t they think about how to do that? Of course, you’ve got to take into the calculation will you have a hit? Will there be haters? Will there be people who don’t agree with that stand that you’re taking? Because there’s always two sides to every issue. Today more and more that’s happening. Well, then yes. But you can’t not take a stand. Like, it seems like stepping to the sidelines and not taking a position is not a good way to sort of embrace yourself or to engender yourself to this audience, right. Sam Fiorella: Which is one of the things we want to take a look at. So, the calculation, then, if we’re a brand what would it be? I just want to highlight some of the points I made yesterday and see if you have anything else you wanted to add to that. 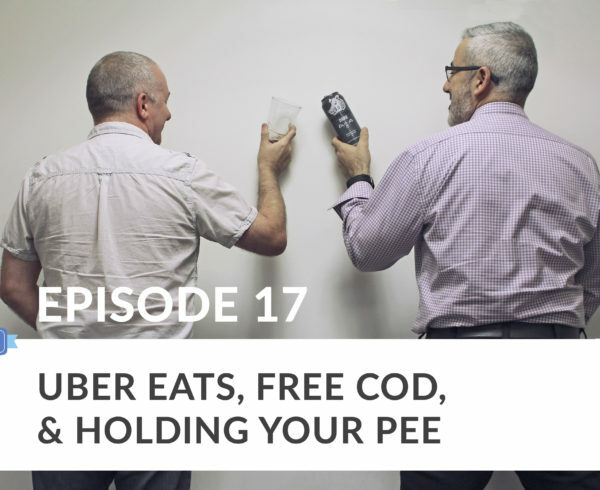 Sam Fiorella: So the first thing I said is, number one it has to align to your brands ethos. Right. So, it can’t just come out of the blue. This is where Pepsi failed. Danny Brown: With Coke. Yeah, and the Black Lives Matter. Sam Fiorella: Right. Besides the fact that it was almost flippant in terms of the way that it presented. It really just wasn’t serious enough. There was no gravitas to the message considering what the cause was, and what the issue was. They had no history of getting involved in these types of situations. There was, from what we can tell there was no cultural effort on their part to do it. No company wide effort to sort of get involved and support various communities to raise educations. Any kind of grass root … So it just didn’t fit. So that was part of the reason for them it didn’t work. They got a lot of negative publicity. They had to take the ad down, people stopped buying Coke. Sam Fiorella: Whereas, with Nike it worked. So, because they have a history of doing that. For them they’ve had a history of promoting marginalized athletes. That octogenarians or that marathon runner that has AIDS. Sam Fiorella: Or HIV, he doesn’t have AIDS. He’s HIV positive. So, they promote him as a spokes person every year trying to shine light on these causes and trying to raise awareness for these types of causes. So, it worked for them. So that’s one thing. Sam Fiorella: The other thing is, of course, your audience. Is your audience, do they believe this as well? Does this line up with their cultural beliefs, with their societal beliefs? If it does, then support that in some way. Would you be on the right side of history. Sam Fiorella: So those are two calculations. Is there anything else that a brand should think about before they decide to take a stand? Danny Brown: I think one, just to touch on their history of what they’ve done. [inaudible 00:19:27] Nike or whatever. I notice some of the criticism has gone toward Gillette, and Nike when they came out with theirs, was their labor practices with third world countries, developing countries. How they’re using the sweatshops. So, how can a brand do social good, if you like, while they have these practices. So I think that ties back into if you’re going to have a message make sure you have some form of back up. If this does come out as an issue about labor laws, or past labor laws. Past labor issues then we have a really strong communications plan or team to address that. Because it ties back into if you try publicize your social good, and then your audience finds out that you’re making kids make t-shirts in India. Sam Fiorella: Nike uses sweatshops. Sam Fiorella: In Asia. So, you know, who are they to take a moral high ground on anything? Sam Fiorella: Right. So that is a challenge that every business is going to have to face. But again, for Nike, from a business perspective, and ultimately that’s what we’re talking about here today is from a business perspective. Does it pay for them? It paid for them there despite the fact that maybe they have some skeletons in the closet, which I suspect any company that big does. Danny Brown: Yeah. I think another thing, sorry. Just a quick one. Danny Brown: Just make sure your stakeholders are all on board. Danny Brown: Because it’s going to be a rough ride. Sam Fiorella: You certainly have to have the cajones and you have to have a little bit of courage to do this and to take that stand one way or the other. Danny Brown: Sorry to interrupt your bell. Sam Fiorella: Well, that was a … That’s because our timing was up. We’ve got our last call bell. So, from a business perspective what say you, Danny? Is it worth it for a brand to take a stand? Should they take a stand or not? Danny Brown: I think if your audience as part of the people that align with social justice, or social causes, or you know. And if you’re like the … And you’ve done the leg work, and you’ve done the research, and you really are 100% confidant that we’re going to hit a bump but we’re going to get over the bump because this is what we portray happening. Then it makes sense as Nike’s results, so far, have shown. It might be different next year. It’ll be interesting to follow what happens with Gillette in 2019. Because it’s just come out, obviously. If it’s going to air at the Super Bowl, anybody that’s not seen it since it came out will see it then. So that could be another second tier of push back. Danny Brown: So, I personally think it’s worth it. I personal want to shop with brands and give my money to brands that align with causes I buy into. So, from a consumer point of view, and the market head on, I think it’s worth it as long as you do your due diligence. Sam Fiorella: For me, the final call, or the last thought for me is understand your audience I think is what it really comes down to. Know that if your audience, do the research. If your audience is buying from brands that align with their personal, corporate values or culture values. Excuse me, societal values, then you really need to consider that or not. Then do the calculation. What’s going to be the impact? What’s going to be the negative impact? Who’s not going to like this? Who’s going to react negatively to this? Can we withstand that? Will the increase in sales offset the decrease? You know what I mean. Where do we stand with the majority of our customers. Then look to that. That’s sort of the calculation that you have to make if you’re going to go one way or the other. But just make sure that it aligns with your corporate brand. Sam Fiorella: If it doesn’t, and that’s something you want to get into, then maybe start thinking about doing some offline work. Like, get involved in those communities, get involved in those efforts offline. Make it part of your charitable giving. Make it part of your corporate ethos a little bit more and then venture out. So, that’d be the final advice and recommendations that I want to leave with you. Sam Fiorella: So, that’s it for this episode. Thank you very much for tuning in. Danny, thanks once again for the beer. We will be back next week with another episode of Marketing on Tap. Who knows what we’re going to be arguing about then. Cheers everybody.